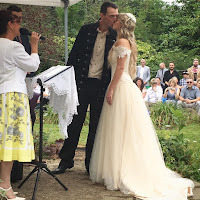 HAVE YOUR WEDDING IN FRANCE POURQUOI PAS? There are so many reasons to hold your wedding in France, a country synonymous with love and romance. There are plenty of beautiful castles and chateaux that cater for weddings, some of them owned and run by Brits. The French are renowned for their food and wine. The weather is generally better than in the UK and you can start your honeymoon straight away without having to worry about getting to an airport. Sound tempting? Of course it does but adventurous UK couples who are considering tying the knot in France face complex legal requirements. However, there is a way around the difficulties of being a non resident. Don't. 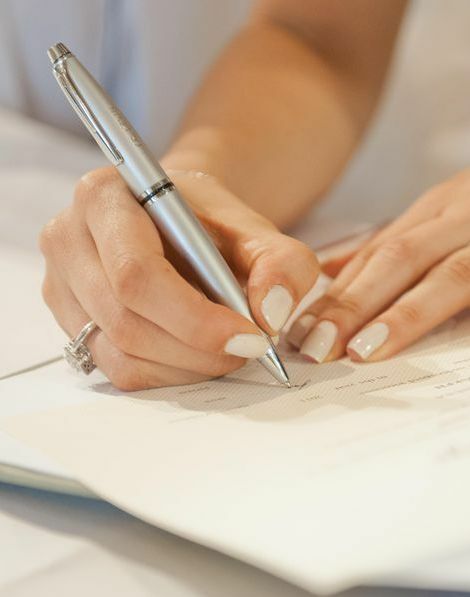 Simply do the legal bit (marriage) at your local Registry Office in the UK first and then travel across the Channel for your big day (wedding ceremony). This removes all of the legal and administrative complications of the French system. You will be legally married on your wedding day but no-one needs to know. Most couples regard their marriage as valid and real once they've said their vows and exchanged rings in front of family and friends anyway. Not a problem. Ask a UK Celebrant to travel to France to conduct your wedding but be prepared to pay travel and any accommodation expenses. These are cheaper when booked in advance. 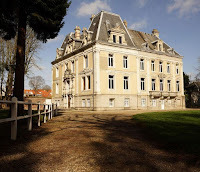 Alternatively, find a UK Celebrant who lives in France through the UK Society of Celebrants. I live near Dover where the ferries take just 90 minutes to reach Calais. Folkestone to Calais via the Channel Tunnel takes just 35 minutes. It's easy. 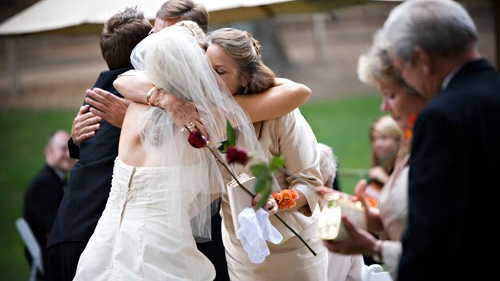 A Celebrant led wedding is much more personal and relaxed. We can conduct ceremonies virtually anywhere and at any time because we're not limited to licensed venues only, during daytime hours. There is so much more choice too in relation to what elements you can include to make your ceremony truly bespoke. Once you've both said je fais and are ready to start your honeymoon touring around France, your wedding guests could enjoy a holiday or simply return home. If you live in the south of England, France is actually closer than much of the UK. I live just over 20 miles from France but more than 80 from London. I can leave in the morning, conduct a ceremony and be back home all in the same day. Although I recommend an overnight stay in order to recce the venue and do a rehearsal. If you still need convincing about the idea of a wedding in France picture this. 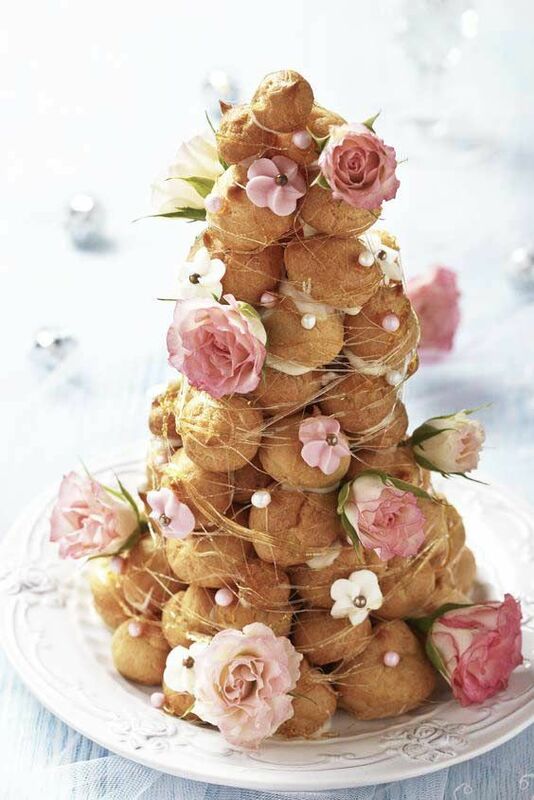 The croquembouche is a traditional French wedding confection where puffs of choux pastry are assembled in a cone shape and bound together with threads of caramelized sugar. Whatever you decide, bon voyage and bonne chance. An increasing number of my brides and grooms are choosing to incorporate gift giving into their wedding or vow renewal ceremonies. But before you baulk at the thought of additional costs to what is already an expensive event, gifts don't have to "break the bank" and can add a really personal touch to your special day. One creative bride surprised her groom with a handmade aloha garland of roses in deference to their mutual passion for Hawaii Five O. Neither he nor their guests knew anything about this special gesture that she "snuck" into their wedding ceremony. He loved it and the guests were thrilled. 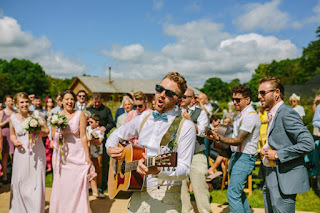 It was also a great precursor to their closing music when they walked back down their garden aisle as husband and wife to the Hawaii Five O TV series soundtrack. 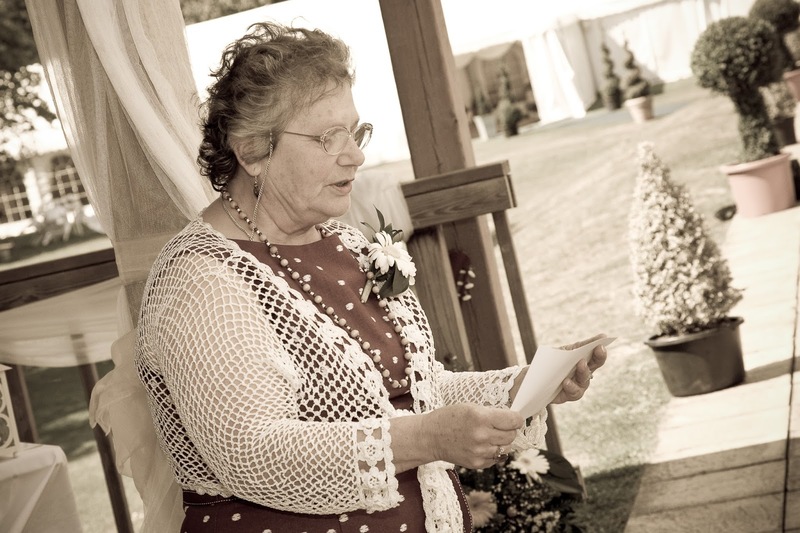 Mothers, grandmothers, sisters and aunts are sometimes given a single rose, often from the bride and groom's own garden, as a way of showing appreciation for their support. Roses are an iconic symbol of love so what better way to say thank you. This stunning flower can also be presented as the first gifts that the couple give to each other. Another couple wanted a longer than usual ceremony when they renewed their vows to one another. It went closer to an hour rather than the standard half an hour. One of the keys to a successful ceremony is to have lots of different elements to add interest and pace. So this bride and groom incorporated a gift giving section to acknowledge the role that their family and friends played in their lives and to thank those who provided the cake, music and photography. These gifts might normally have been presented during the reception but by adding them to the couple's vow renewal ceremony, it added a lovely element of surprise and helped guests to feel like they were participating in the event rather than merely observing. The bride made many of the gifts herself so the gesture was very personal and ideal for the budget conscious which, let's face it, most of us are. 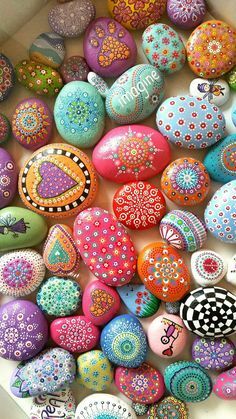 For a couple with a connection to the sea, something as simple as collecting shells or pebbles from a beach, and painting them for your guests as a memento of your special day, can be effective. So if you're looking for wedding trends for 2018 that add a personal touch, involve your guests and don't need to cost much if anything, you can't do better than incorporating gift giving into your wedding ceremony. One of the areas where many of my brides and grooms get stuck are their wedding vows. They want to write their own but don't know where to start. I encourage them to write from the heart and inject some of their personality, both as individuals and as a couple, into their vows. For instance, this cheeky bride and groom were full of fun and their promises to each other reflected their playfulness. Jo-Anna: I love you. I love you for never being afraid to be silly with me, for putting up with my unique sense of humour, bad impressions and my ‘tuneful’ voice. For bringing out in me my childish sense of humour and allowing me to give you plenty of jobs. Adrian: I love your immense capacity for love, whether it’s directed at me, your family or your friends and for sometimes letting me have some of the quilt when it gets reeeallllly cold. Can I have some of the quilt please? 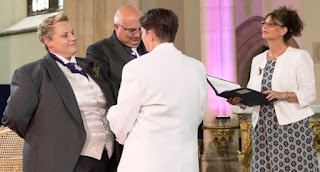 In addition, this couple took it in turns speaking paragraphs from their vows which added interest and pace to the ceremony. There's nothing that says one person needs to make their promises followed by the other. 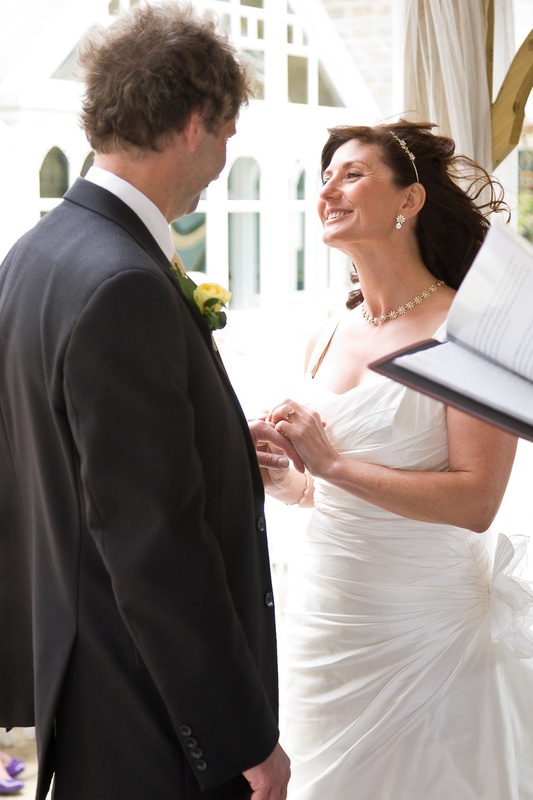 Alternating lines and paragraphs also helps those couples who are a bit shy about speaking in front of lots of guests. So, decide whether you are light hearted, poetic, romantic, sentimental, traditional or something else, and use this as your starting point to create truly personal promises. Express yourselves in ways that feel most natural to you. For example, if you're a really lovey-dovey couple, why not write your vows in the form of a letter to the other person? You could keep your "love letter" secret until the big day when each of you surprises the other with your words. Use words and phrases that reflect what's important to you and mirror your bond as a couple. Honesty. Laughter. Love. Respect. Support. Trust. Nothing brings a love story to life better than examples so make references to happy experiences that you've had together or moments that have united you as a couple. This could include travel and adventure. Challenges and obstacles overcome. Achievements and successes. Ben set the benchmark very very high, literally, when it came to his proposal. He organised a surprise hot air balloon flight no less, and asked Hannah to marry him at 3,000 feet whilst flying over beautiful Dorset. But ladies, before your eyes well up with tears of 'how romantic,' just know that Ben was toying with the idea of pretending to drop the ring over the edge of the basket. Fortunately he didn't because he was a teeny bit concerned that Hannah might follow it as it is really nice and shiny. What a guy and clearly Hannah likes bling! What do you love about them? What inspires you about them? What promises do you wish to make to them? What hopes and dreams do you have for your future together as husband and wife? Little did I know four years ago that I would meet a man who would change the course of my life forever. So grab a pen and paper, or get those fingers flying over your keyboard, and see what vows you can create for your wedding day that are truly unique and personal to you. The personal touch is what people look for when they ask a Civil Celebrant to create a bespoke ceremony for them. Whether it be a naming ceremony, wedding, vow renewal or celebration of life, it's important that the service is unique and, therefore, meaningful to families, couples and parents. I would also add, going the extra mile to the list of "must haves." I recently conducted a Celebration of Life for a lovely man who was an avid and lifelong supporter of Spurs. 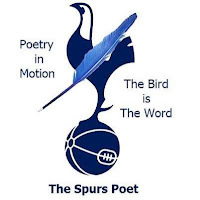 I searched the internet for a suitable poem to reflect his passion and discovered that the Tottenham team has a resident poet. What a wonderful surprise! I contacted the Spurs Poet and asked him to recommend one of his poems that would be most suitable for the occasion. He kindly offered to write a poem, specially for the man whose life we were celebrating, and he did a fantastic job. 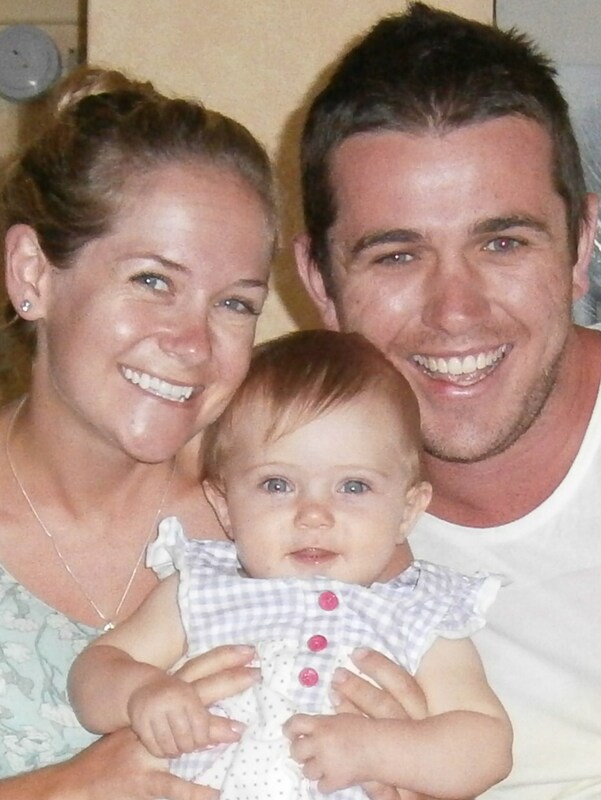 The kind gesture meant the world to the man's family and took the edge off a very difficult day. They will treasure the poem always. Here is one of the verses that superbly captures the man's devotion to his beloved football team and his character. When you are settled watching your star Harry Kane. On a similar note, I performed a wedding for a couple with a seaside vintage theme for their special day. 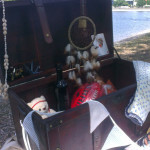 Vintage is currently very popular amongst couples tying the knot so it's always a challenge to come up with new ideas. I spiced up the ceremony by writing one section using words from bygone days. It turned out to be a "swell" idea and the newly weds, as well as the guests, loved the jazzy twist. So, going the extra mile can mean the difference between a good ceremony and a really "nifty" one! The media is full of predictions for the most popular baby names in 2017. Apparently new parents are expected to zoom to the end of the alphabet and choose a name beginning with Z. Zander and Zephyr are likely to be huge for boys and Zyla and Zelda for girls. Picking out a name for your baby, or making one up, is a big decision as any parent will tell you. After all, it will stay with them for the rest of their life. A name is the first thing that gives your newborn its identity and distinguishes it from others. The same can be said of the baby naming ceremony that you create to formally welcome your little one to the world and introduce him or her to your family and friends. That's why no two celebrant-led celebrations are the same. 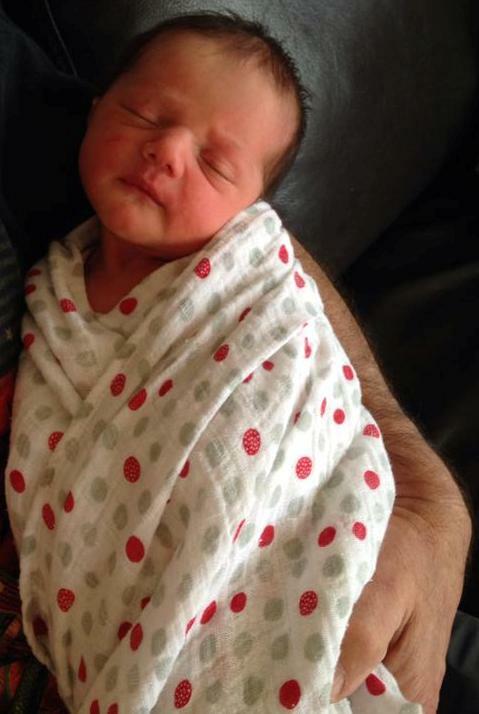 I encourage parents to make their baby naming ceremony as personal and relevant as possible. Most ceremonies are held when the child is a few months old. By this time, little characteristics are already emerging. They will have a favourite toy, respond to certain music and they'll be communicating in ways that their parents can easily interpret. 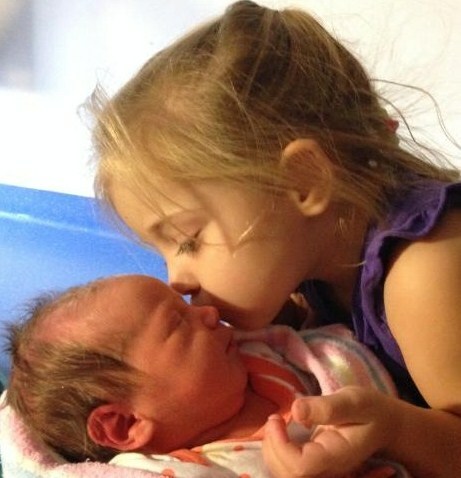 Family members will also have cute little nicknames for the latest addition to the family. All these things make it easy and exciting to choose elements that are perfect for the little person who will have centre stage on the big day. I performed a lovely, garden ceremony for a gorgeous little girl last summer whose mother was a vet and the family had several pets. The first time the little one had a giggling fit was when she watched her grandparents' dog destroying one of his toys. She also found it hilarious when the cats were told off for clawing the carpet. Lovely snapshots of the little girl's personality shining through. Consequently, her baby naming ceremony included a section where everyone present was invited to put their fingerprint on a picture of a baby turtle. 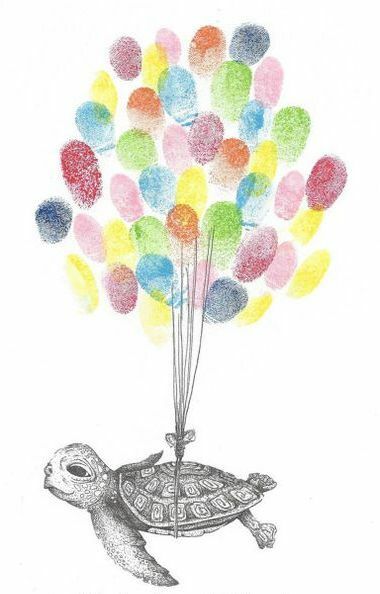 Their colourful ink prints created a mass of balloons. This was done to music - Mr. Turtle Lullaby Song - and was a moving and very special way to formally welcome her to the people who are special in her life. The completed picture is a beautiful, everlasting keepsake of the baby's special day and the people who shared it, that is now hanging on her nursery wall. Every baby naming ceremony should be approached with the Zeal and Zest that new life deserves. Save the zzzzzzzzzzzzzzzzzzs for bedtime! We're all familiar with the real estate catch cry 'location, location, location.' It means a particular place or position is the most important factor in a home’s value. At no extra cost I like to set aside an hour or so, no more than a week before the big day, to run through the logistics. This is particularly important for larger weddings and those that include more elements. 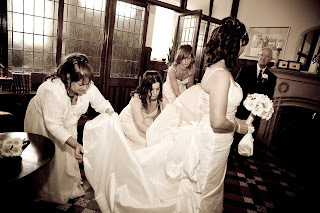 A wedding rehearsal irons out any wrinkles and ensures that months, sometimes years, of meticulous planning result in a stress-free and truly wonderful day when the big day arrives. 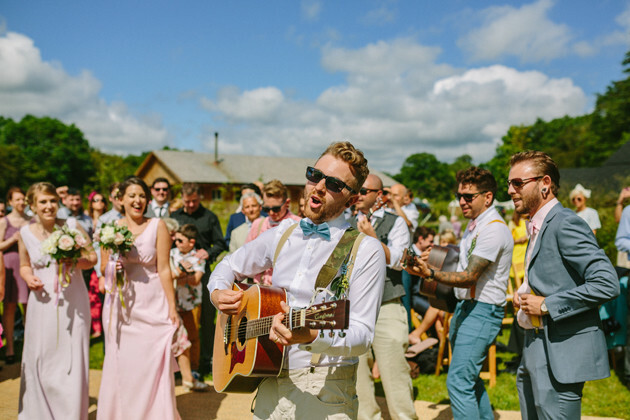 It's not about rehearsing the entire script word for word - the bride and groom should have approved the content beforehand - it's about how, what, why, when and where. For example, for the entrance of the bride part of the ceremony to run smoothly, everyone involved needs to know where and when to gather, in what order to line up, when to enter, how fast or slow, whether the music will play until it's finished or fade down once everyone is in place and where people sit or stand. Without some clear direction, this part of the wedding could become chaotic. I have attended wedding rehearsals where all sorts of issues were thankfully identified early on. At one I discovered the music had changed without my knowledge yet the script introduced the original song. At another, the photographer helpfully pointed out that if we were to stand where the couple originally planned it would have meant either the bride or groom would have been obscured, spoiling the photographs. At yet another, the processional was so short that the music would have ended shortly after it began. 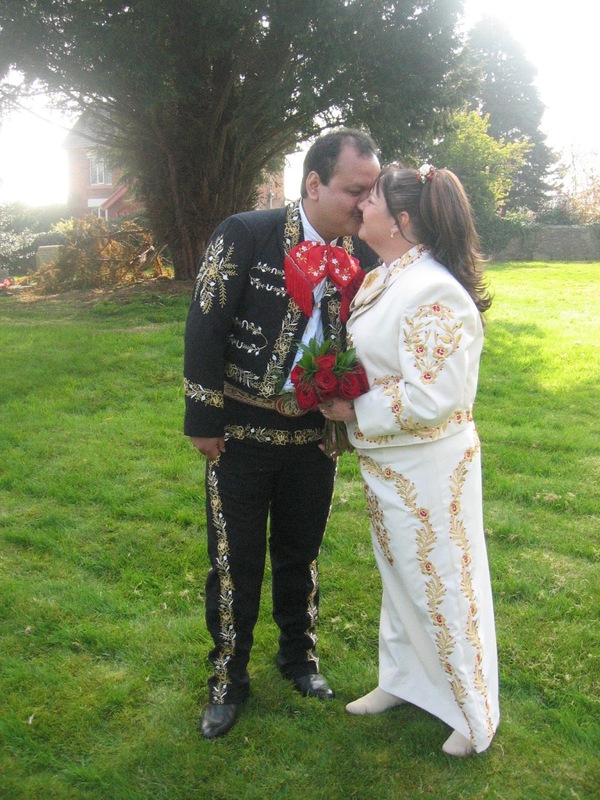 In each case, identifying these potential challenges, obstacles or pitfalls in advance meant we were able to find a solution and overcome them, ensuring the couples got hitched without a hitch. I’m increasingly being asked for ideas to involve guests more during wedding, vow renewal and baby naming ceremonies. Couples and parents are no longer happy to just ask a family member or special friend to do a reading. They want everyone present to participate. This can also ease the tricky situation of choosing someone to, say, read a poem at the risk of leaving others feeling rejected. Here are some ideas that have worked well at ceremonies I’ve performed. We promise to encourage / nurture and support / Peter and Lisa / in all that they do / as individuals / and as a couple. We promise to tidy up / after the wedding celebrations / so that Peter and Lisa / can have snuggly time together. Everyone loved joining in and the surprise “tidy up” promises raised a laugh. At the same wedding, everyone was invited to sing Bruno Mars’ Just The Way You Are. The words to the upbeat song were on the back of the Order of Ceremony for guests who didn’t know the words. 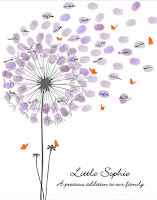 Fingerprint trees or dandelion seeds are popular at both wedding and naming ceremonies. Guests create leaves on the tree branches, or dandelion seeds, with their fingerprints. Many craft shops sell coloured ink and all you need are some wet wipes to clean your fingers afterwards. 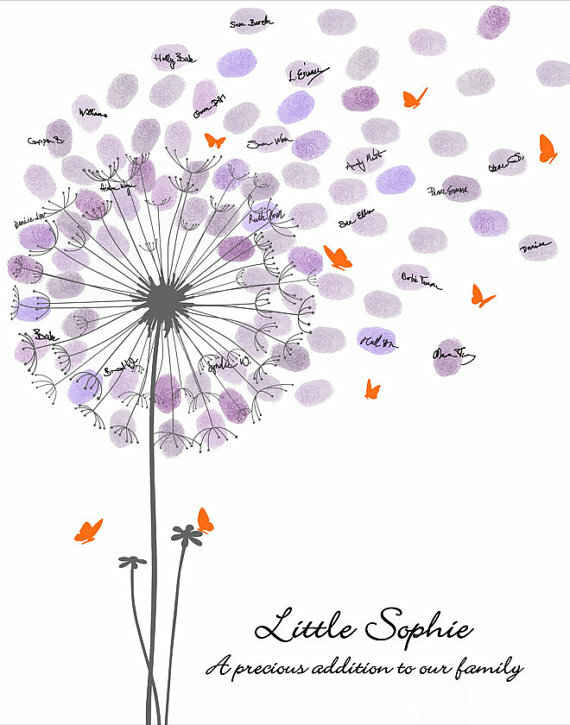 The finished picture is a lovely and very personal keepsake that you can frame and hang on the wall. It’s a reminder of all the people who celebrated yours or your child’s special day with you. Time capsules are brilliant for baby namings. Ask everyone to bring something small to place in a box or container, to be opened on a special birthday. It could include photos, a pressed flower from your garden, postage stamp, newspaper clipping, receipt that shows the value of goods purchased at the time - anything at all. It’s fun to see all the creative things that people bring. Similarly, when guests are invited to a baby naming they could be asked to bring a small card with their one word wish for the little one. They write their names on the card as well and these are collected in a special box at the ceremony. It will be opened in the future and the whole family can read the cards together. If it's a small gathering, guests can bring their favourite children's story book and say why they love it, thereby starting a library for the baby. For babies born near the sea, or couples having their wedding on the coast, a sand ceremony is perfect. I gather the sand from local beaches, dry it in the oven and add coloured powder. 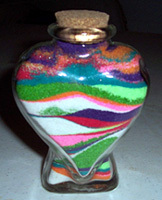 The guests pour whichever colour sand they like into a glass bottle or jar. It makes a lovely ornament which is a constant reminder of the happy day. Involve your guests as much as possible and be as creative as you like. They’ll appreciate the gesture and you’ll love the end result. Copyright 2014 - 15| Daisy Chain Civil Celebrants. Awesome Inc. theme. Theme images by tjasam. Powered by Blogger.